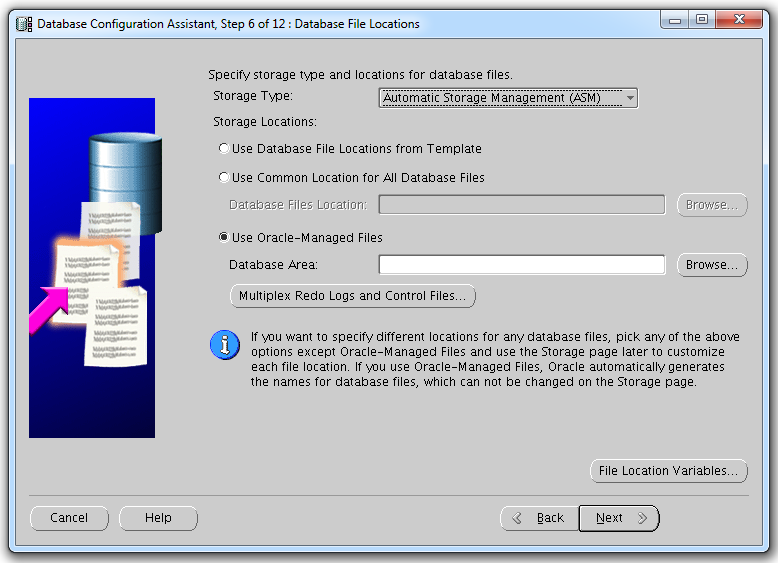 Choose the Template and Click "Next"
provide Global Database name and SID, and Click "Next"
Provide Administrative Password and Clieck "Next"
Specify Storage type and Locations for database files and Click "Next". 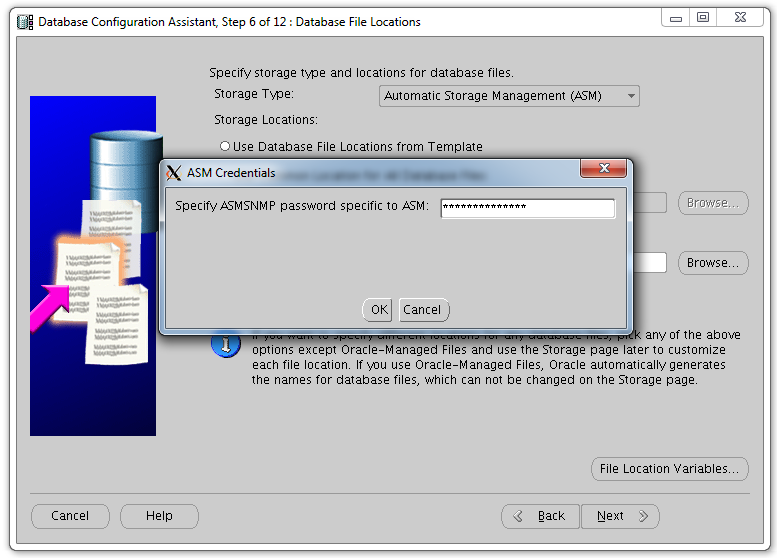 Here I have chosen ASM as Storage Type. 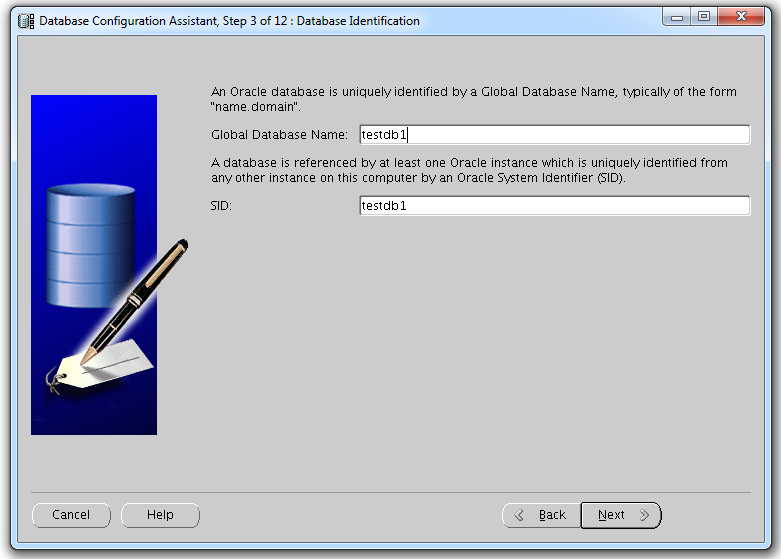 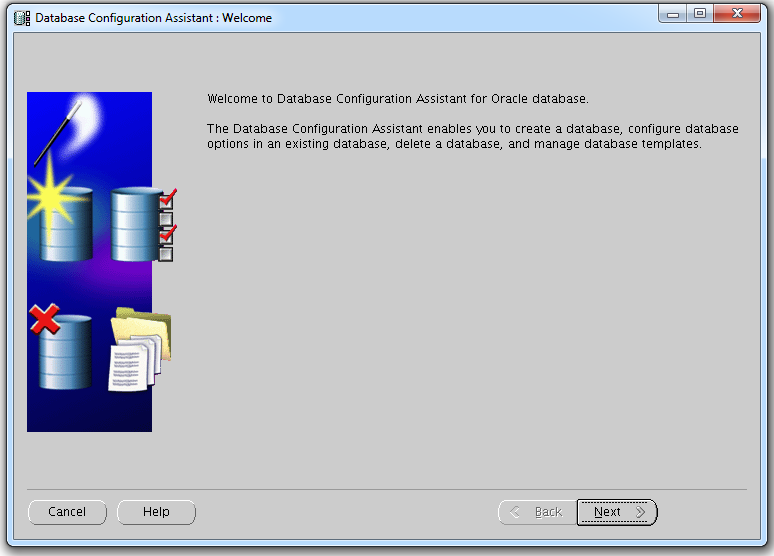 Select the Disk Group Name where you would like to install a database and Click "OK". 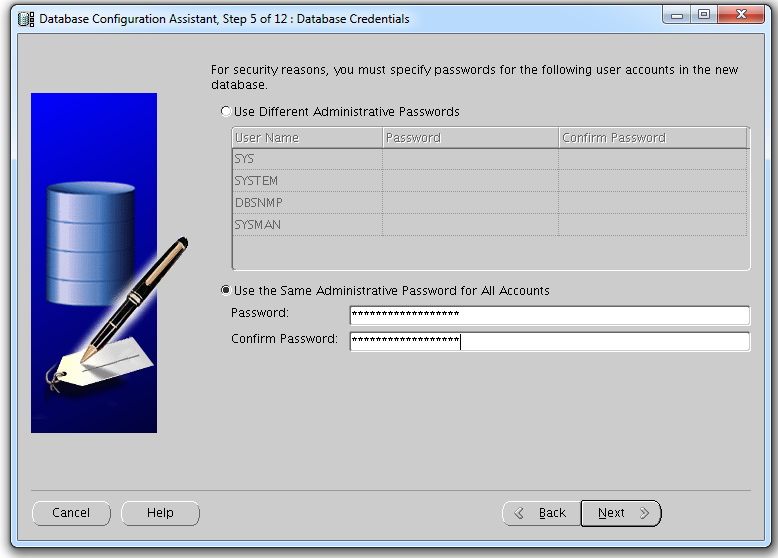 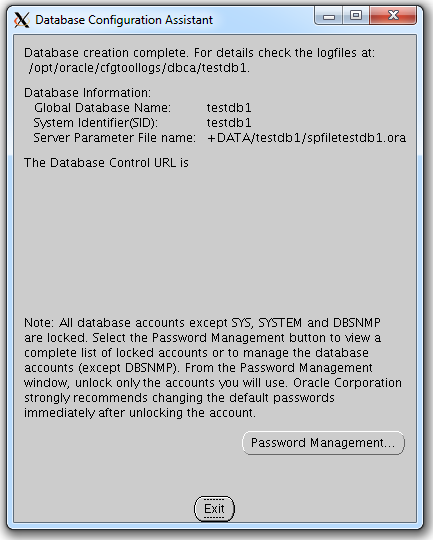 Specify ASMSNMP Password specific to ASM and click "OK". 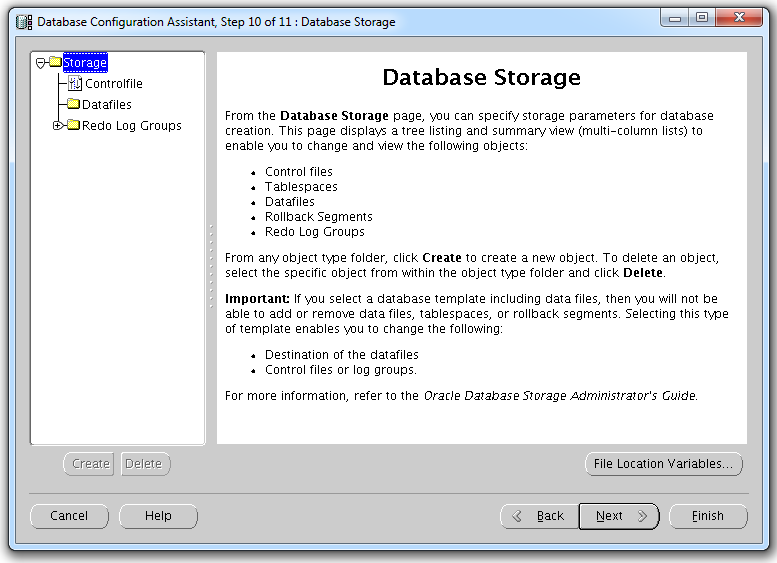 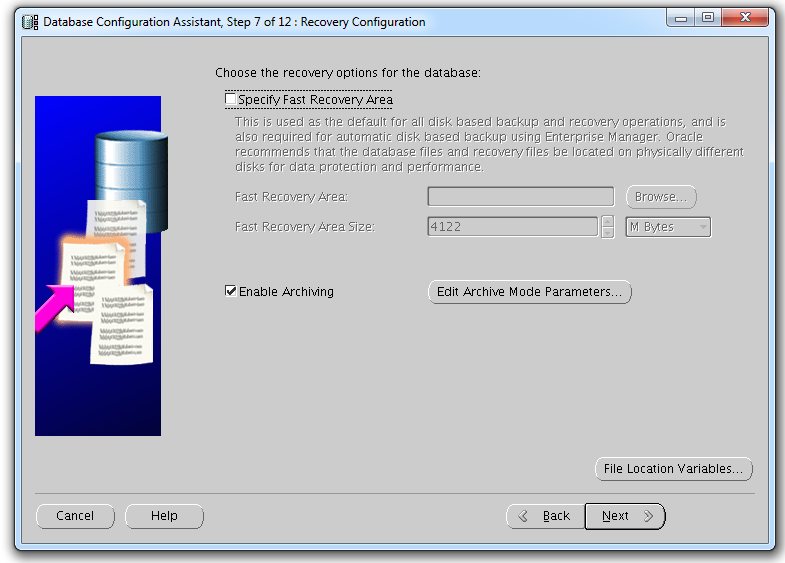 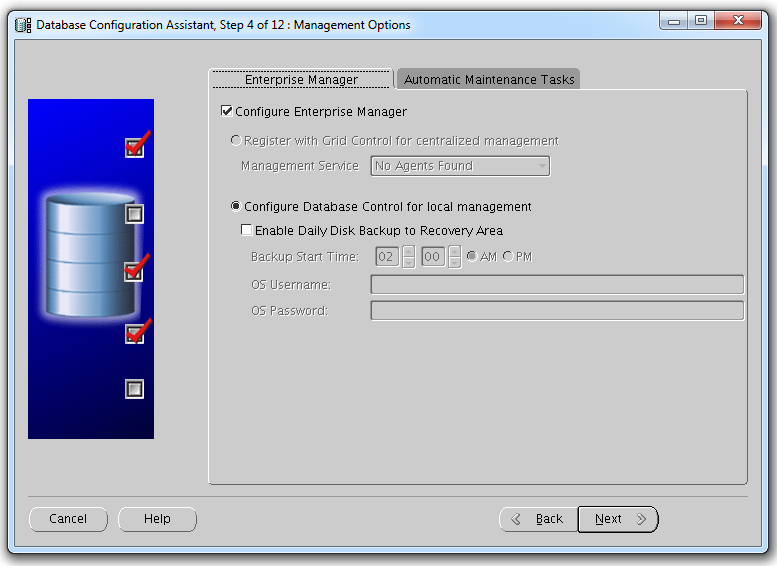 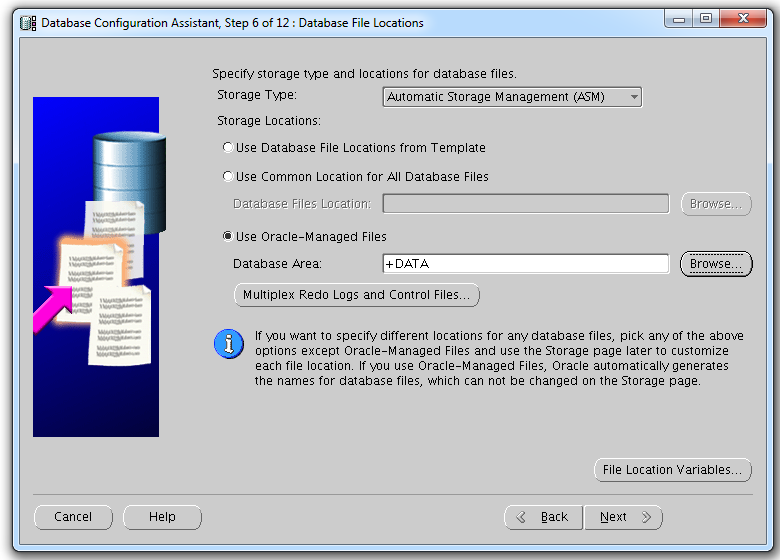 Choose the recovery options for the database and click "Next". 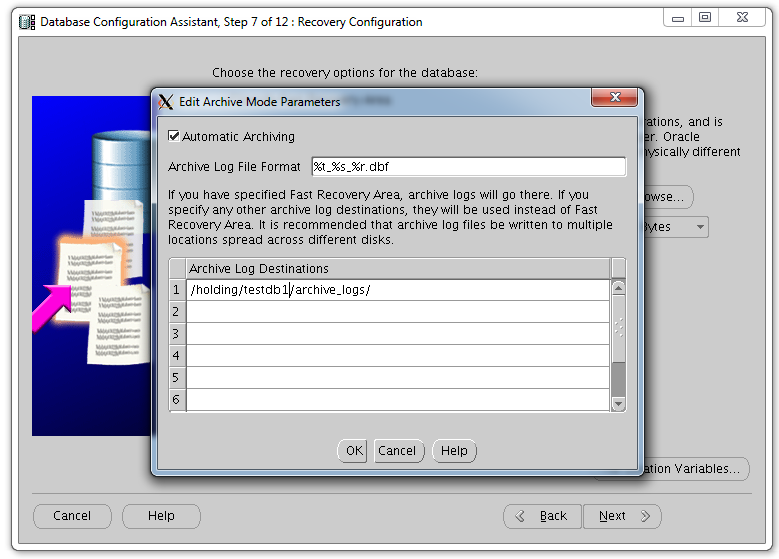 Show the Archive logs location and click "OK". 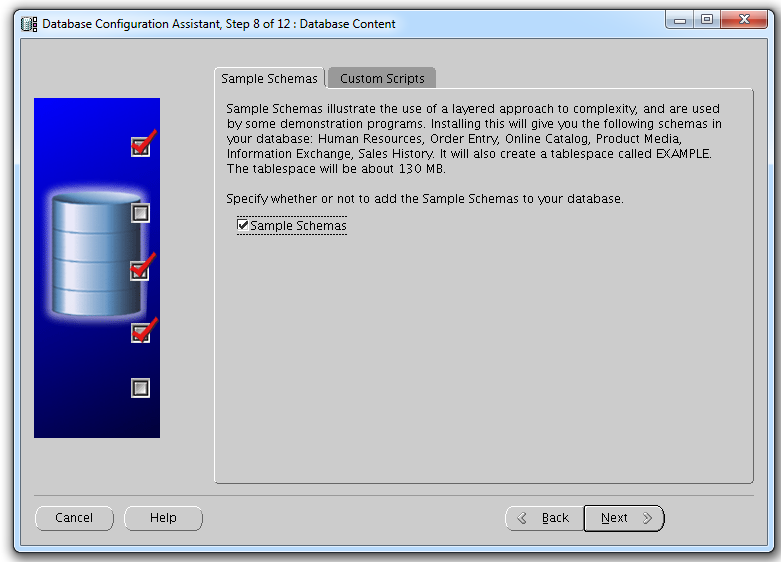 Click Sample Schemas if you want sample schemas in the database and click "Next"
Click Tab Sizing and provide the maximum number of operating system user processes. 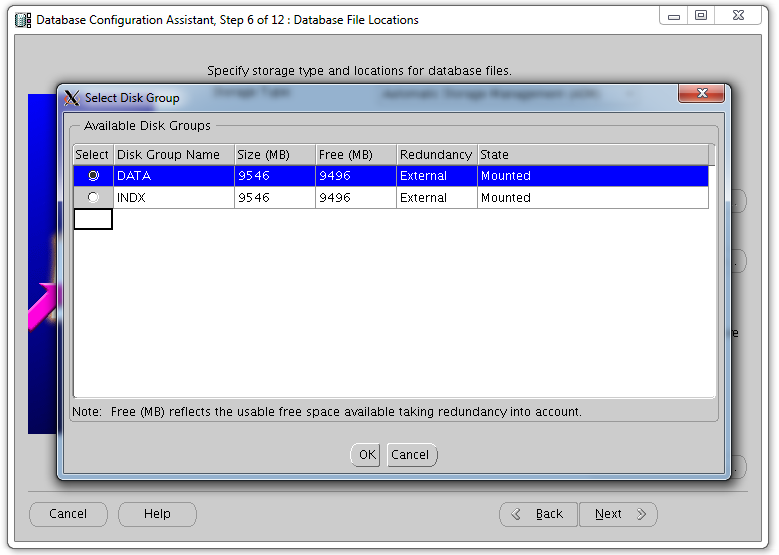 Here I have choosen the default which is 150. 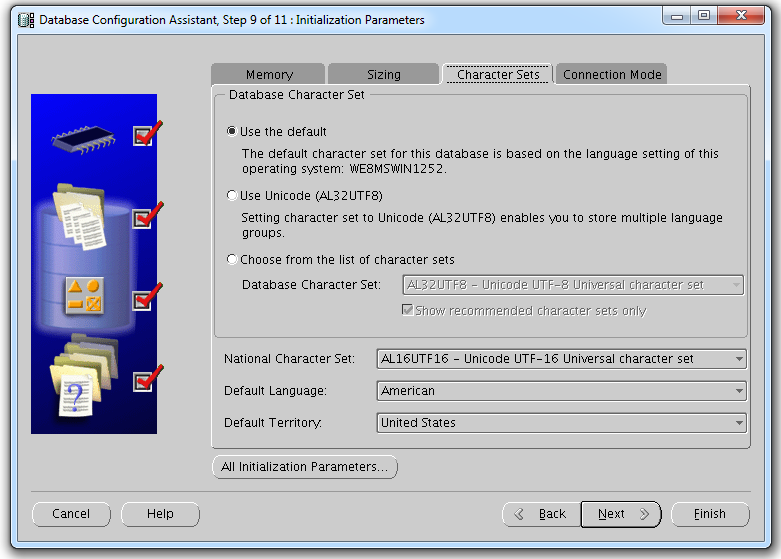 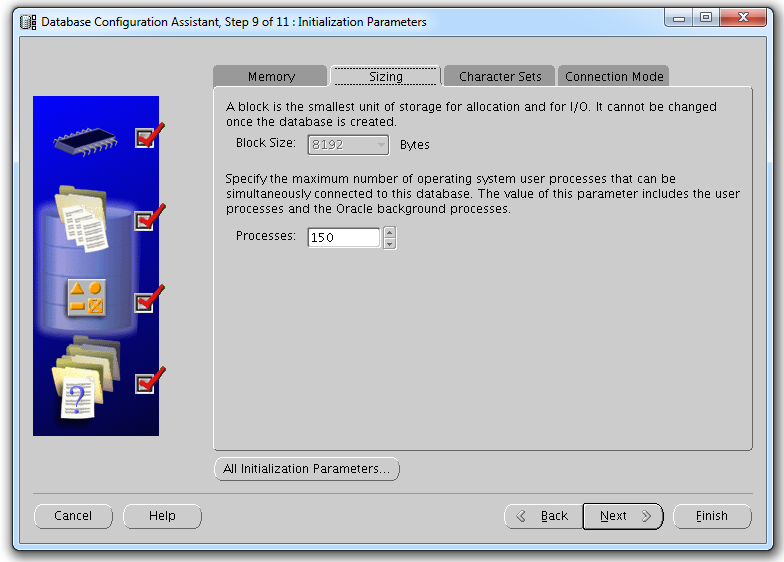 Click Character Sets and Choose database character Set. 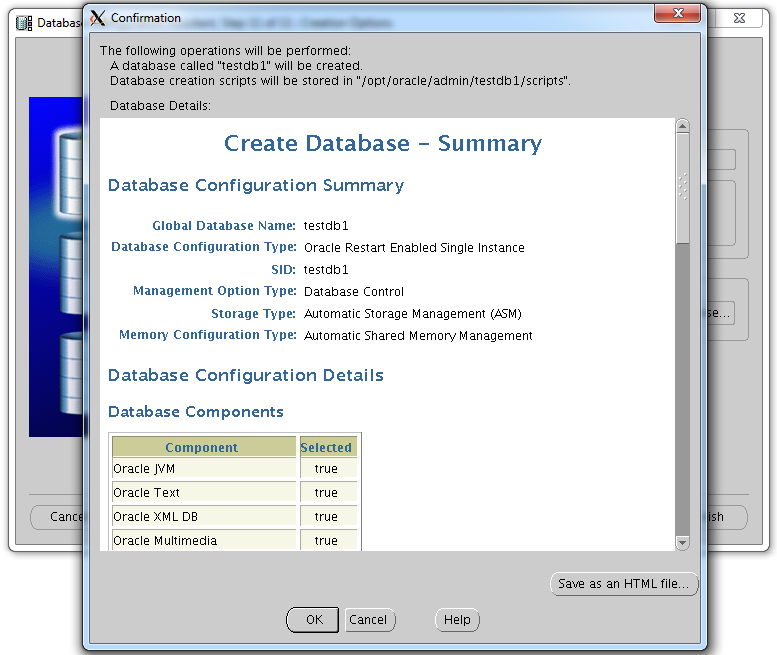 Click Connection Mode Tab and choose the connection Mode and Click "Next". 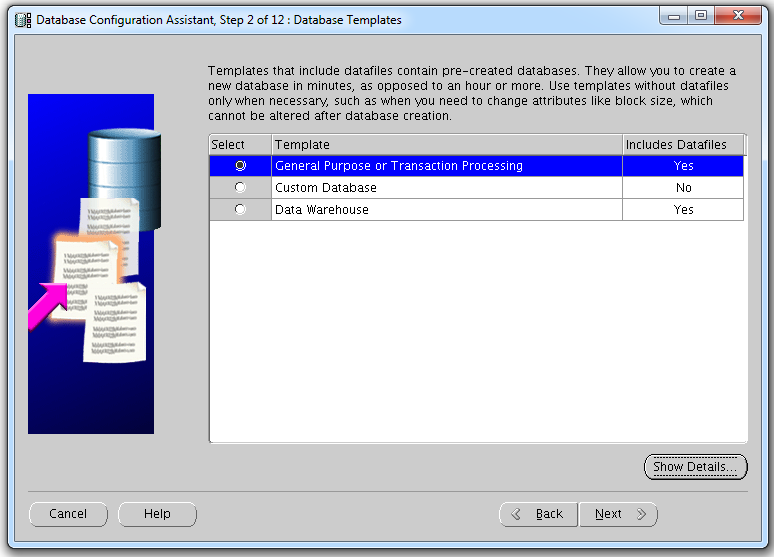 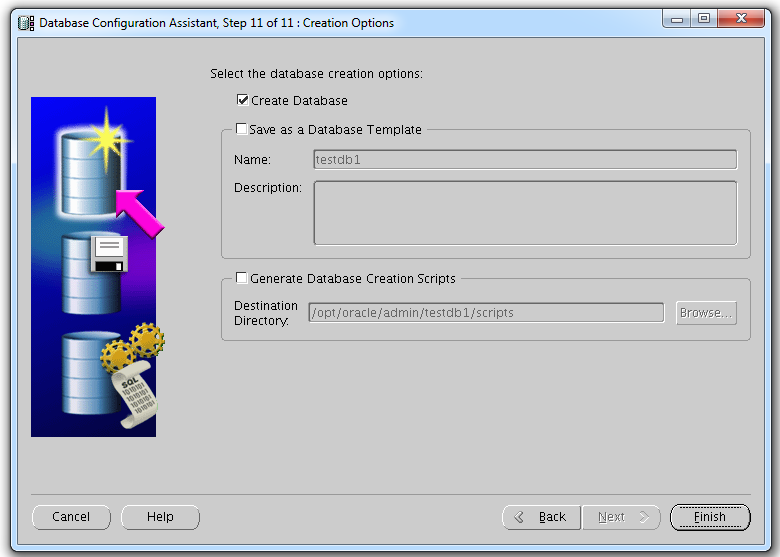 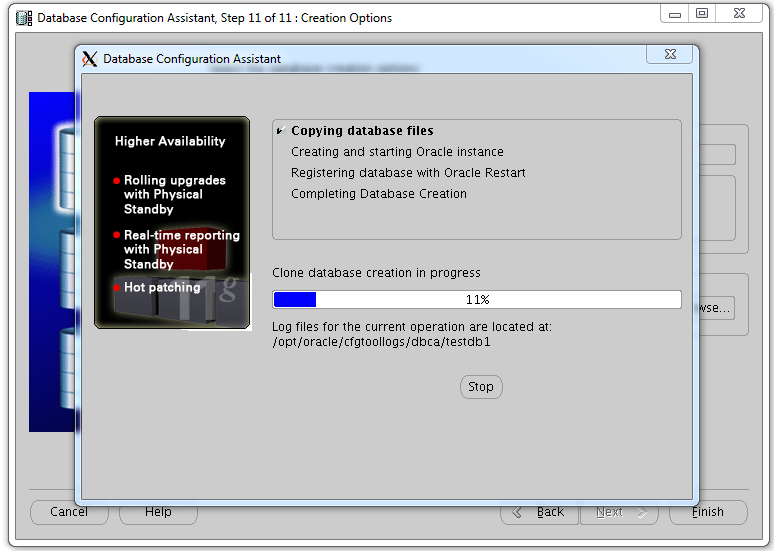 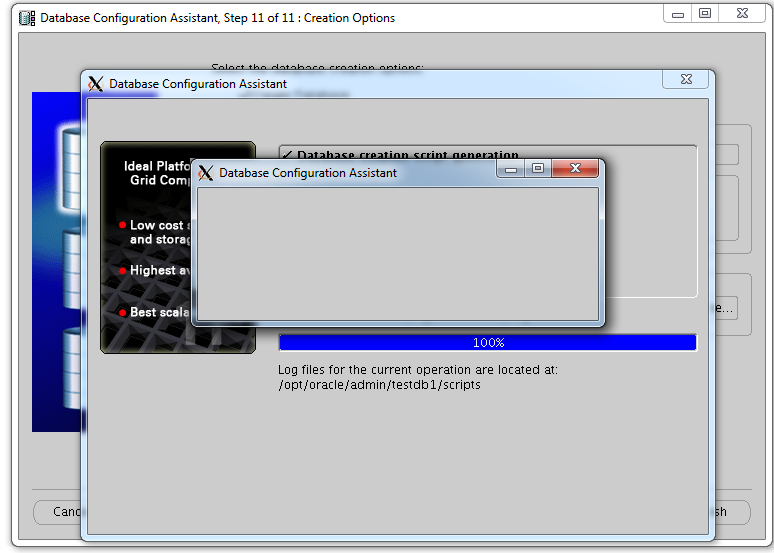 Select the Database Creation Option and Click "Finish".